Attention: we have a 18 month old boy available, must have a secured fenced in area. Belmar Shelties is a small show kennel located in South Eastern West Virginia, 45 minutes North west of Beckly WV and 30 minutes south east of Charleston WV. I hope you have time to stay and visit and see pictures of our dogs. We were established in 1985, striving for beauty and brains in our shelties for all rings. We exhibit in AKC (American Kennel Club) and CKC (Canadian Kennel Club) and sometimes UKC (United Kennel Club) just for fun. we have not shown in ukc for a while..We have been very successful through the years and have the honor of having finshed several dogs from the specialties near by.. in he past.. looking forward to a new beginning . We strive to produce dogs that adhere to our breed Standard, and are yet a joy to live with and train. Our lines are based on Barwood, Jademist, Macdega, Shadowhill. but mostly barwood and jademist in our old sable lines. but for the future we are venturing out and blending with our old lines paray,blueheaven. romayne, nandina. In our old lines and dogs the blend that stamped our shelties with solid, well moving bodies and stable temperaments as well as a , elegant presence, loads of coat and a sweet, loving expression. We would like to invite you to surf our pages, and look around. If you would like to reach us please feel free to contact us, we are always happy to talk to someone interested in the breed! We are very happy and proud to show you the dogs below. We have always felt very lucky to have the quality that our dogs have been able to produce. Please know that our goal is to have done right by our dogs and that means taking care of There needs and wants. We will be totally honest with what we feel the dogs virtues and faults are. We stand behind our dogs . hope you enjoy them as much as we have .. Thank you for visiting our home on the web.. We are currently under construction for our new website, come back soon will have more pages up and running. 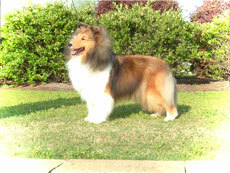 We are a small reputable breeder of Akc champions and performance titiled shelties. We spent our early years doing performance. Have CD’s,CDX,UD titled dogs.We have sold dogs to friends that have bought our puppies and do performance, They have achieved titles in agility and obedience and herding. Our grand puppies continue on..
We have been Raising and showing these wonderful dogs for 32 plus years. Have 18 home bred champions. My foundation dogs where from Barwood, Macdega,jademist,winslow,romayne, we solute all the breeders behind our dogs, for with out them we would not have what we have today. we do all genectic testing on our dogs, hips, eyes, elbows, VWD. we strive to produce top quality dogs, that are intelligent,Healthy,as well as beautiful and bred to the standard.